As there is no FMQs today I thought I would tell the little-known story of the Dunbar Martyrs. It touched me deeply when I first read about it more than a year ago. On 3 September 1650, Scottish defence forces suffered a terrible defeat at the hands of Oliver Cromwell’s invading English army at the Battle of Dunbar. Cromwell went onto ruthlessly ransack Edinburgh and other Scottish towns and cities and take control of the country south of the Highlands. Immediately after the battle, Cromwell’s forces rounded up around 5,000 Scottish prisoners and embarked on the ‘march of shame’. You will hear little about this in the history books probably because it marks a profound disgrace in the annals of English military history. The battle weary Scots were brutally forced on an 8-day, 118 miles march south to the English cathedral city of Durham with virtually no rest (the first 28 mile stage to Berwick being undertaken non-stop through the night) and with no food or water, other than what could be scavenged. Of the estimated 5,000 who started the march only around 3,000 were left at the end when they reached their destination on 11 September. Of the survivors, Durham Cathedral and Castle were used as a makeshift prison and an equivalent disgraceful episode commenced. The condition the Scots were kept in were utterly appalling. Records indicate that the Scots died at an average of 30 a day between 11 September and 31 October and it seems this reached over 100 a day with virtually no food, clean water or heat and the linked spread of disease and infection. By the end of October 1650, approximately 1600 Scots had died horrible deaths in Durham’s much-revered House of God and Durham Castle. This was a desecration of the holy Cathedral. The military leader appointed by Cromwell to take charge of the prisoners (Sir Arthur Haselrigge, Member of the English Parliament for Leicester) later claimed in a letter to the Parliament that adequate food, water, bedding and fuel for heating had been provided, however the facts speak for themselves that this was merely an attempt to excuse his own conduct during the horrific weeks in September and October 1650. The Scots in a desperate effort to create some heat and reduce the death toll stripped the Cathedral bare of all wooden items, including pews and the organ for the making of fires, save for one item - a clock embossed with a carved Scots Thistle, which remains to this day. Only 1400 of the estimated 5,000 men who started the march from Dunbar were still alive less than two months later, when they were sold as slave labour by their captors. Nine hundred were sold to the New World, mainly Virginia, Massachusetts and the Barbados colony in the Caribbean. Another 500 were forced the following spring to serve in the French army and were still fighting seven years later against the Spanish, side by side with a contingent of English soldiers sent over by Cromwell. According to research and a paper written by past Cathedral employee John Cole in 1991, when a central heating system was installed in the Music School at the Cathedral in 1946, the trench for the pipes cut into a mass grave on the north side of the Cathedral. The conclusion was that it held the bodies of the Scots who had perished. They had been “buried without coffins and had been tossed in on top of one another”. Separately, a Cathedral gardener spoken to in 2008 recalls seeing the corpses of Scots soldiers during works on Palace Green, just outside of the Cathedral. The Cathedral has recently (2008) cast doubt on their earlier conclusions, however, as yet no geophysical survey of the Cathedral landscape has been undertaken to ascertain the existence of the mass grave. To this very day there is no memorial of any kind to these unknown Scottish soldiers who died such horrible deaths at Durham Cathedral and Castle. It would appear that they lie in anonymity and without Christian burial in what they would have regarded as foreign soil in the place they have been imprisoned, far from their homes and the graves of their loved ones. A gentleman called George Wilson has taken up the cause of seeking to have an appropriately inscribed memorial erected to the Scots who perished at Durham. He has worked tirelessly to achieve this and continues to do so. He is also hopeful that a geophysical survey will be undertaken and discussions with the current Cathedral administration have been positive and are ongoing. If anyone should wish to support George’s campaign (non-financial support) please go here and send him an email (scroll down to end). He deserves all the support he can get for such a worthy cause and you’ll get an email now and again with updates. This sort of History should be tought in our Schools becouse events like this changed our nation. I dont think they will be to keen on digging up the grounds incase of a 21st century rebelion. I'm a supporter of the Spook, have been for quite some time. The present Dean is a pleasant person and he's been most helpful to George and things are progressing quite nicely. I can't say too much because negotiations are delicate but a geophys is on the cards and they'll take it from there. It was back in 2008 when I was doing some research of little known Scottish battles that I came across George's website. Aye, Ah read aboot this in the Herald a year or so ago - someone had posted the link you give. I was appalled at this story. A war crime perpetrated by the English against the Scots and no mention of it in the Scottish school cariculum. The remains of these men should be repatriated and a memorial to their memory at Dunbar, and another set up at Durham Cathedral to commemorate the infamy of the English under Cromwell . Aye George managed to get some newspaper space and also he was on Radio Scotland about a year ago scunnered. Much depends on what the geophys finds and it seems the Dean, along with others, are happy for a memorial of some kind to be erected. If you email George he will give you the latest update as he doesn't want too much said publicly because discussions are ongoing. Perhaps it could be given more publicity to get people to attend the unveiling of a memorial. The man deserves a medal for his one man efforts although he has lots behind him now. For one moment I thought you were to discuss Dunblane! Good history, though. Oldrightie I think Dunblane's been well enough recorded, until records are released of course and that'll be another 40 years. Yes it's good history and one man's campaign for justice. I wonder how many other stories there are like this. Hopefully with the help of the internet, people of the mind-set of George Wilson will begin to research our 'undiscovered' history. I studied history for five years in school and have never heard of this dreadful event. I think our history books are slanted to give a favourable version of events so we grew up thinking the Red Indians were callous murderers and the cowboys were white-hatted heroes. For such a dreadful event to take place in such beautiful surrounding seems, somehow, to make this barbarity even worse and sadly this barbarity still goes on in our name. Little wonder that we are reviled in many parts of the world when we are associated with events such as this. Brownlie, the old Dean wasn't prepared to help with it in the least I don't think. He wanted it brushed under the carpet and didn't want his 'territory' stained with this shame. The 'new' Dean is a person who is most approachable and I think has been very accepting of George's research (much of which is recorded there anyway). So hopefully there will be a suitable Christian end to this horrible sage of Cromwell's reign. Hi Monty I've been corresponding with George for sometime too, since he had the kick back from the old Dean who was so disinterested. I've the email about the latest news too Monty but I thought George wanted it kept under wraps for the time being. Delighted to hear about it though. It's so good the Durham end is working together with George now. Scunnert mentioned we should have a memorial in Scotland and bring back the bones for a Christian burial but that doesn't seem on the cards at present. That's what I would like. What about you? I'm sure we can raise the money required as the British Legion Scotland have already offered to help. Well done Rosie. I must confess this is the first I have heard of this, I knew Cromwell was a lunatic in the same vein as Longshanks. I went to school in Golspie Sutherland underneath the statue to the Duke of Sutherland, to be fair in a school built by his family. But we were taught nothing of the Highland Clearances or the brutality of Cumberland and the decades of persecution that took place after the 45. It seems to me that their has been a great deal of shame and embarrassment on the subject of England's activities in Scotland, and great efforts have taken place over the decades to stop people learning of that dreadful time in our history. 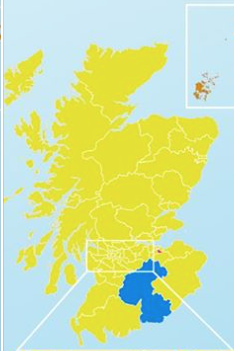 Thanks to the internet and people like you and George it is coming to the surface, no wonder we want independence. KW I've done nothing except offer my support to George and write a couple of emails to Rev Sadgrove. George has done all the work against the odds for quite some time. As I say things are beginning to move so I'll post again when I know exactly what's happening. I stumbled across George's website a bit by accident. His design was nearly as bad as mine at the time! He's obviously improved his web-building skills, which reminds me I must tell him I've noticed. Building a few schools was a cheap price for Cumberland don't you think, but I appreciate your mixed feelings about it. Delighted to see you've posted this Rosa. I've been corresponding with George for some time. I posted the link from George's site in the Hootsman and the Herald way back. It's a story that deserves further investigation. Rosa, you're right. Post amended. Monty, I never gave a thought to the diaspora but then I can understand their interest can't you? The ones I meet who are on 'ancestral' holidays usually shame me with the amount of study they have applied to researching their forebearers. Monty, I forgot to mention. 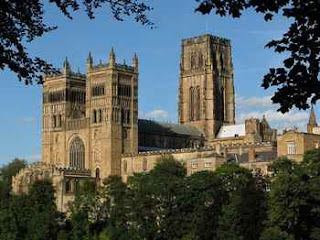 Did you see Durham Cathedral website (under history) now gives a mention to this tragedy? "..in 1650 the Cathedral was closed and used by Cromwell to incarcerate 3,000 Scottish prisoners." I have responded to your accusation on my blog, hope you can drop a response. Thanks. Sorry to contact you here but you left no details. I'll go and have a look right now Tommy. Didn't know how to leave contact other than use here. We, the descendants of the transported prisoners, are most certainly out of the woodwork and have been doggedly researching and collaborating for many, many years. Some of us were even in contact with Mr. Wilson and supported his effort which finally came to fruition on 30 Nov 2011. We also have a DNA project ongoing with an ultimate goal of identifying our ancestral places of origin and connecting with relatives (https://www.familytreedna.com/public/ScottishPoWs). I hope to one day visit the Cathedral to pay homage to my 9th great grandfather who survived this atrocity.